Warming up is the most important and indispensable part of every workout. Thanks to the warm-up, the risk of injuries is significantly less likely to occur, and your performance during your workout will be better. A warm-up takes about 15 minutes. Warmed-up muscles are more efficient, and the major training exercises are easier to perform because the body is prepared for them. Keep your hands loosely at your sides. Rotate your head clockwise and counter clockwise. 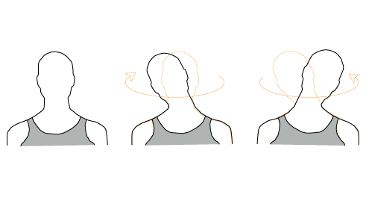 Position as above, hands rose to shoulder height. 20 times in opposite directions. 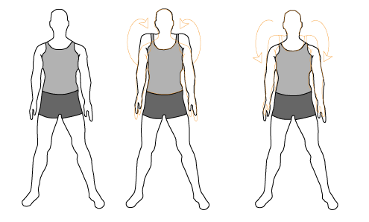 Perform both shoulders rotation clockwise and counter clockwise. 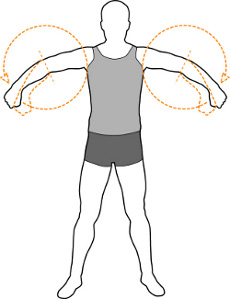 Perform wrists rotation in both directions. Raise both arms straight to the outside. 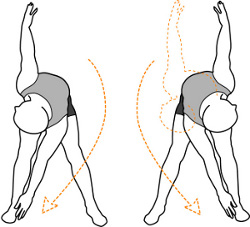 Perform the most extensive movements to the left and to the right. Look at the hand you are lifting. Keep your knees straight while performing the exercise. 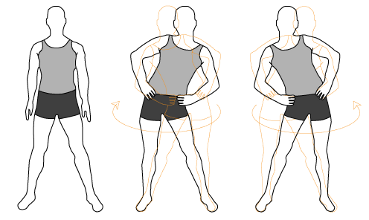 Count the bends made to the left leg 1, the right leg 2 and straightening the body 3. Join your legs and try to touch your forehead to your knees (stay like this for a few seconds). Place your hands on your hips and your head straight. Perform the exercise 10 times clockwise and 10 times counter clockwise. 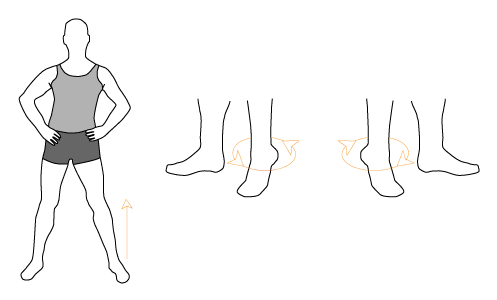 Perform rotation of the raised foot clockwise and counter clockwise. 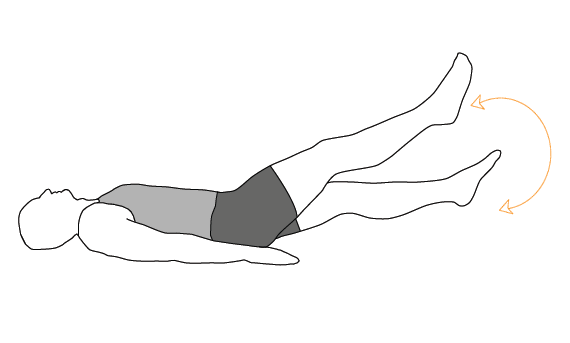 Lie down on your back, lift your leg about 15 cm above the ground. Perform horizontal scissors for 30 seconds. Perform vertical scissors for 30 seconds. Lift your hands and legs simultaneously and keep them in the air for 1 second.